More than 171,000 children in Massachusetts, ranging in age from infancy to 21 years, receive special education services at no cost to their parents. Countless more are eligible but do not know it. The dedicated special education lawyers of Holly Lynch Law, LLC help clients throughout Massachusetts to ensure that their children receive the special education services to which they are entitled under the law. Whether a child has a learning or physical disability, behavioral challenges, a serious illness, emotional challenges, or another disability, he or she deserves a thoughtful, comprehensive, and appropriate education that will facilitate a bright future. Holly Lynch Law special education attorneys provide full-service counseling and representation to secure special education services, including representation in all forms of disputes, such as those arising under the Individuals with Disabilities Education Act (IDEA), Section 504 of the Rehabilitation Act of 1973 (Section 504), and other federal and state statutes. Located in North Andover, Massachusetts, Holly Lynch Law, LLC can assist you with federal and state litigation, due process hearings, administrative appeals, IEP meetings and development, special needs planning, settlement negotiations, discipline matters, and bullying and harassment. For families not wishing for full-service representation, Holly Lynch Law can also advise behind the scenes and give you the knowledge you need to advocate for your child. For the answers to these and any other questions, call the office at 978-494-0272 or submit an inquiry online on our CONTACT page. Children who have special education needs may be disciplined for violating their schools’ codes of conduct. However, federal and state laws protect a special education student when his or her offense is a manifestation of the child’s disability. It is important that you know your rights if your child with a disability is suspended or expelled. Should you have any questions or concerns regarding school discipline, we encourage you to contact us immediately. Holly Lynch Law, LLC represents children and families in school districts throughout the Massachusetts. This page contains just a brief overview of the issues that parents of children with special needs face in obtaining the best possible education for their children. Whether you are just beginning the special education process or are a seasoned veteran, we can help you ensure that your child receives all of the services and support to which he or she is entitled under the law. Remember, children with special needs have special rights. We encourage you to contact us today to learn more about special education law and how we can help your child. Do you need a special education attorney? Whether you need the services of an attorney depends on the facts and complexity of your situation. Sometimes, just knowing your rights and what you can ask for will help your child. Other times, the services of a special education advocate may be more appropriate. Holly Lynch Law, LLC will always be upfront and honest about your needs. We will not take cases that do not have legal merit, or that you can resolve more efficiently without an attorney. 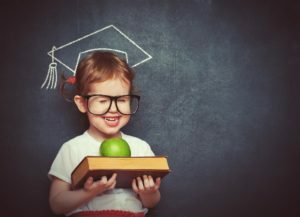 How much does an education attorney cost? There is no predetermined answer to this question. Every case has unique challenges. A case that goes to hearing will be more costly than one that settles quickly. Holly Lynch Law will work with you to find the best solution for what you can afford. 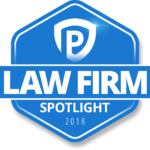 Will my child be retaliated against if I hire a lawyer? No! 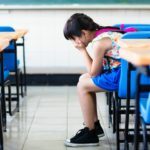 The consequences for retaliation against a student receiving special education services are serious, and school districts are well advised to never retaliate against a parent or student who is exercising his or her rights and advocating for special education services. For a free telephone consultation, please complete our contact form. More than six million children in the United States, ranging in age from infancy to 21 years, are eligible for special education services at no cost to their parents. The dedicated special education lawyers of Holly Lynch Law help clients throughout Massachusetts to ensure that their children receive the special education services to which they are entitled under the law. Whether a child has a learning or physical disability, behavioral challenges, a serious illness, emotional challenges or another disability, he or she deserves a thoughtful, comprehensive and appropriate education that will facilitate a bright future.